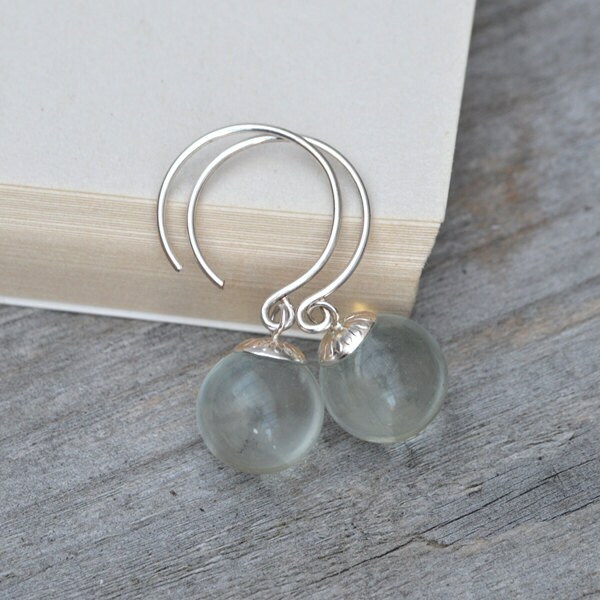 These glass ball dangle earrings are handmade at my studio in England. 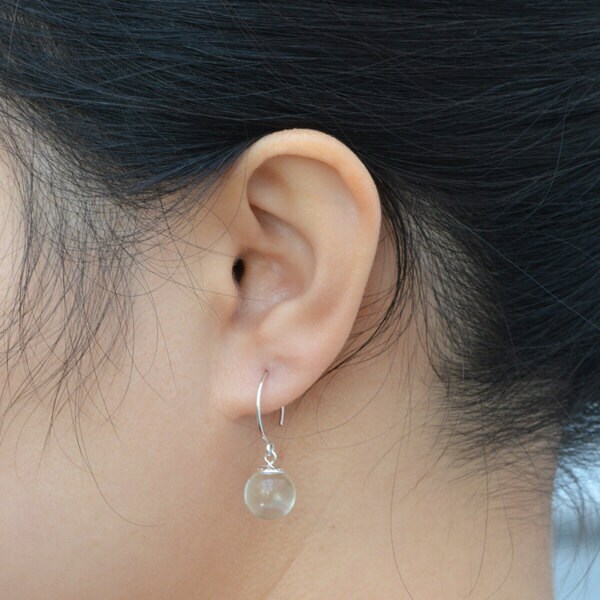 These are small-delicate glass ball earrings. Really like the style of hooks used. Ican't wait to wear them. I think that they will be light feeling. Nicely packagedin a metal box with a slide lid, for storage. Arrived safe and sound.